Calling all storage seekers! 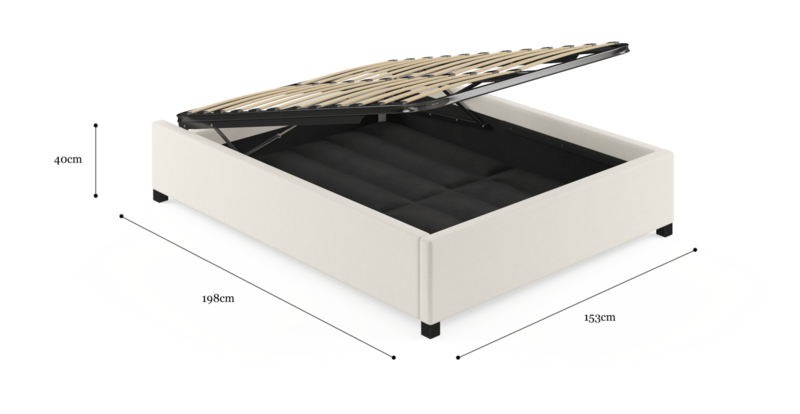 The Double Size Upholstered Gas Lift Bed Frame Base gives generous amounts of extra storage. 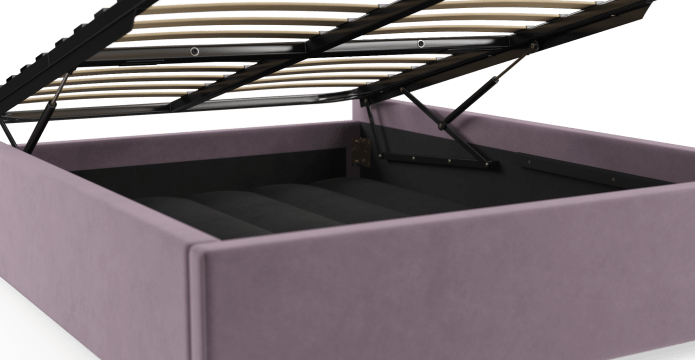 With a hidden, easy to use compartment located right under the mattress. See more bed bases form our range. When it comes to colour, the Double Gas Lift offers a wide range of shades. So you can find your favourite, without settling for second best. Choose our Signature Premium fabric for a linen touch. Or Warwick Mystere for the gorgeous feel of velvet. Built by some of the best. 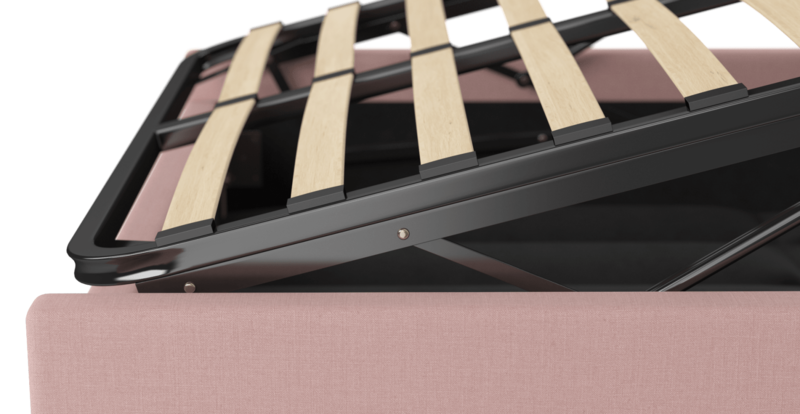 This design was made by makers who have been building top quality beds for generations. Using solid timbers and postured slats, with polished Birch legs completing the look. 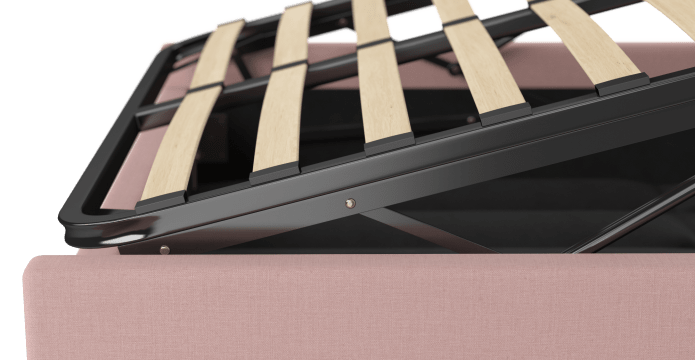 The Double Gas Lift will fit into the landscape of your bedroom like a treat. Creating more space, it’s for those with impeccable, yet practical taste. Match it with your favourite bed head design. 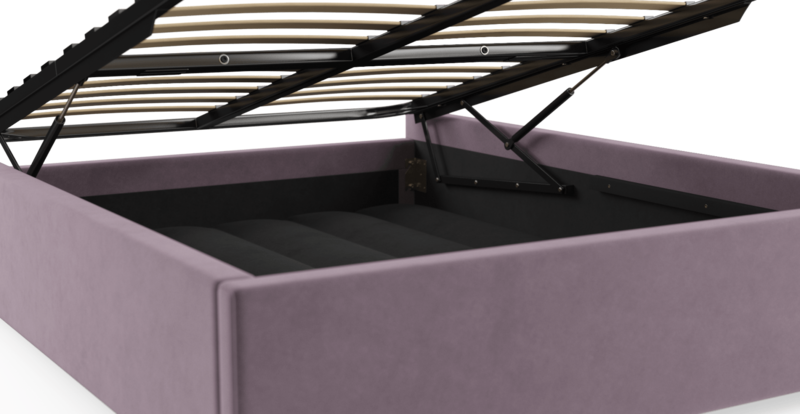 See, touch and feel our fabrics used on our Double Size Upholstered Gaslift Bed Base. For Free! Simply select up to 3 fabrics and add them to your cart. Delivery is on us.